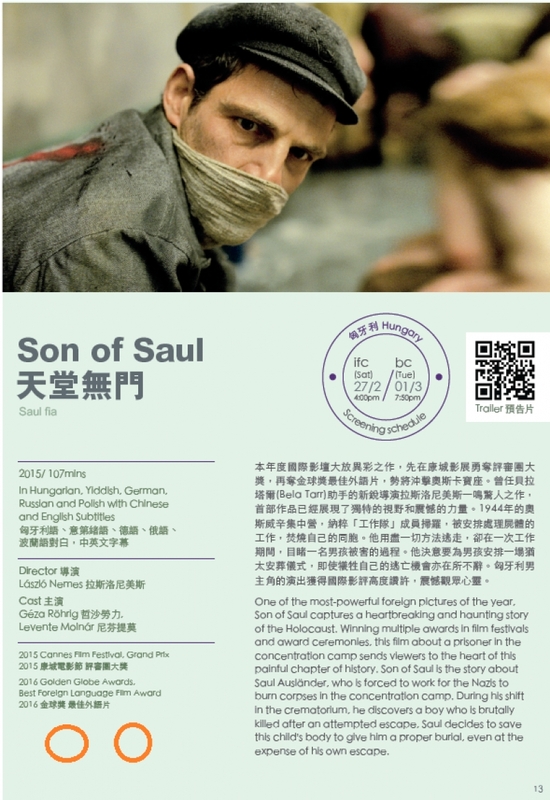 As part of the European Film Festival we were proud to have partnered with the Consulate of Hungary in Hong Kong and Macao, the European Union Film Festival and the Hong Kong Jewish Film Festival to screen the Oscar winning film, Son of Saul on 27 February & 1 March 2016. One of the most-powerful foreign pictures of the year, Son of Saul captures a heartbreaking and haunting story of the Holocaust. Winning multiple awards in film festivals and award ceremonies, this film about a prisoner in the concentration camp sends viewers to the heart of this painful chapter of history. Son of Saul is the story about Saul Ausländer, who is forced to work for the Nazis to burn corpses in the concentration camp. During his shift in the crematorium, he discovers a boy who is brutally killed after an attempted escape, Saul decides to save this child’s body to give him a proper burial, even at the expense of his own escape.